A quick productivity tip for those users of GeoMaster within ArcMap. 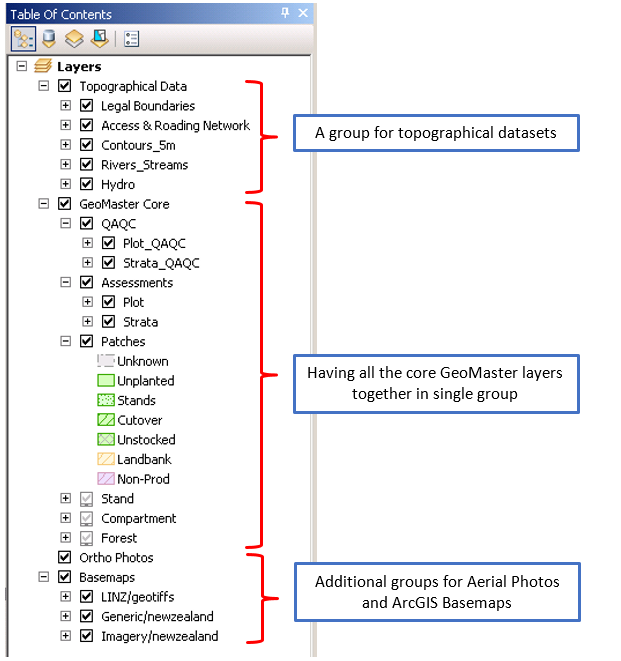 We notice as users extend their ArcMap Mapping Documents (MXD files) with additional layers they can get an overload of data in their Table of Contents (TOC), and while cleaning it up might accidently delete one of their GeoMaster core layers. A quick productivity tip is to use TOC grouping in ArcMap. Figure 1 – Example of simple ArcGIS TOC Grouping to help keep your MXD files under control. If you would like any help with this or further suggestions feel free to contact our cloud services support team.